I attended the rather wonderful Henley Literary Festival last night and did an event with Sam Humphreys – deputy publisher at Mantle. The venue was the stunning, Phyllis Court, directly on the river and we had a great time – we may have had a cheeky glass of wine by the river just before the panel. The audience was enthusiastic and engaged and there were loads of interesting questions that came out of the session. Hopefully it was informative and useful for everyone. Sam and I had been rather entertained by the title of the workshop. Agents Vs. Editors. After all – do agents and editors actually get along? Or a bit more like this? The fact of the matter is that it’s in everyone’s interest of the editor and agent have a good relationship. You don't want it to end up in a Kramer vs. Kramer situation. We have, at least, one thing we share – and that’s the author. Sam made the great point that it’s vital for all three in the relationship to be on the same page right from the beginning. Which is why most agents, editors and authors will either have a sit-down meeting before the book is acquired, or at least have a telephone conversation. It’s key that there’s a shared vision in how the book is pitched and published. Of course, there will be give and take on all sides – but it’s the central branding message about where the author is writing which needs to be established early on so the editor can do their job in pitching it correctly to their in-house team. When it comes to negotiating the contracts there’s usually quite a lot of good-natured humour involved – with a moment of standing your ground on both parts. And occasional butting of heads (not literally). Agents will push for the best deal for their author because that’s their business – and publishers will try for the best deal for their industry because that’s their business. Everyone tries their luck and sees how far they can push things to get the best outcome. At the end of the day there’s usually a lot of too-and-fro and everyone ends up, hopefully, happy with the deal that’s been negotiated. 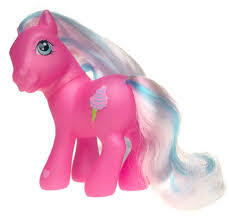 I remember, as an editor, negotiating with one agent who, tongue-in-cheek, demanded a magic pony for his client. I sent him a My Little Pony when the contract was signed. We still chat about what Sparkles is up too . . . Agents and editors also socialise and network a lot. It’s about knowing each other’s tastes, knowing how full the editor’s list is and what they’re actively looking for. Personality has a lot to do with it. An acerbic and brash editor may not be the best fit for a client who is quiet and needs careful handling. And vice versa! Having worked as an Editor myself, I know how busy they get. How constrained their time is and how – of all the agented submissions they receive – they’ll probably only take on 3-4 debut authors (at the most) on a year. And while they are active champions of their authors, as Sam pointed out, sometimes there will be radio silence from them, especially once the vital editorial work is done. That’s not to say there’s no work being done on the book in the meantime, covers will be progressing, copyedits, proofreads, sell-in, marketing plans etc. It’s just that, with managing between 15-30 authors, they’re not necessarily going to be able to proactively be in contact 24/7 to ensure the author is kept up to date. An agent, on the other hand, is there for that reason and will be able to chase up where the book is in the process, if anything needs to be done – and if not – then reassure the author that all is going to plan. Because the whole publishing process from submission to shelf takes upwards of 12 months. And that’s a long time for an author to wait after having worked for so long on a novel and wanting to see it published asap. But to get a book traditionally published – and do it well – that’s the standard timeframe. There is NO magic formula: it’s not a case of ‘it’s who you know not what you know’, or backroom shady handshakes sealing deals or being the right age or gender. It’s about having written a GOOD book – and that’s far easier said than done. And even then, if it’s an amazing book – there needs to be a market for it. Both Sam and I have had to turn down books that we thought were exceptionally-written and we, personally, enjoyed purely because we can’t envision a publishing strategy or a readership for it. That’s not to say another agent/editor wouldn’t. Reading is a very subjective matter. It helps if you’re middle-class, male, and white: Sadly, this had been the case for a very long-time. But thankfully – and about time – things are slowly changing. It’s not just Oxbridge candidates becoming editors (I wasn’t) and there’s a fabulously talented group of BAME editors (BAME in publishing) that bring a – much needed – fresh perspective to the industry. So, there’s a real desire for diversity of voice. I know I’m actively looking for new, fresh, and original writing from BAME authors, and strong female writers – and other agents and editors are doing the same. More needs to be done . . . without a doubt, but it's at least started. Writing for a trend helps: Well, not really, no. Trends change so quickly in publishing that if you’re going to write for one, by the time you get an agent, and a publisher and that book is published – that trend may well have changed anyway! It’s tricky – if editors and agents could predict trends then we’d be VERY happy. But we can’t look into a crystal ball and tell what the market is going to be doing in six months’ time – let alone in twelve. My advice is always to WRITE WHAT YOU LOVE because if you’re not writing a book that you’d want to read – and enjoying the process – then what’s the point of it? The odds of getting traditionally published are, unfortunately, rather low. So, you should be writing because you can’t NOT write…and if you do get a deal, well that’s the cherry on top of the icing on the cake. My first book didn’t work. I should give up: If you feel that way then, yes, you probably should. Writing is hard. Going through the process of trying to find an agent and editor is hard. Getting published is hard. And even being published can be hard. None of it is a walk in the park and if you’re going to fall at the first hurdle then best to do so without a whimper and concentrate on other things. Maybe a touch harsh coming from someone who will never write a book… :-) HOWEVER, many, many authors do not get their first book published. And sometimes not even their second. It may be the third book, or even fourth that strikes the write (deliberate spelling) notes. All that while, you’re honing and perfecting your craft and if you finally hit on a great concept and execute it well, then there will be interest. an agent gets anything between 80-150 submissions a month. They will take on perhaps 3-5 new clients a year - less if they already have an established list. an editor gets between 30-60 agented submissions a month - maybe more in busy periods such as pre-Frankfurt or LBF. They will take on maybe 3-4 debut authors a year depending on list-size, comparative authors and commercial accessibility. publishing lists will range 300+ titles a year - not all of them will be bestsellers. These are the realities of traditional publishing so it's understandable that other avenues are becoming more popular for authors to pursue. And on that happy note . . . The upshot of the panel we did was that, yes - agents and editors - on the whole - do get along. Some of the best advice I ever received from a Publisher was 'try to get along with everyone'. Publishing is such a small world that there's no doubt at some stage you'll either be working with them, trying to buy or sell from them or bump into them at an event. And no one wants it to turn into a pitch fight.